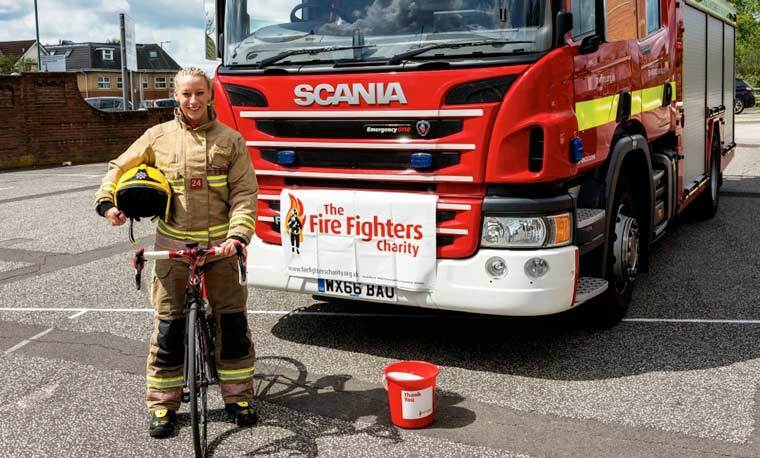 A Bournemouth firefighter is in training for a massive cycling challenge, where she hopes to raise as much money as possible for the Fire Fighters Charity. Firefighter Sarah Bascombe, who is stationed at Springbourne fire station, has signed up for the Paris to Geneva cycling event in September. After a period of injury, Sarah only got back on her bike in March and is now training hard for the challenge. To support Sarah, you can visit www.justgiving.com/firefightersarah or go and have your car washed!